Russia has recently become the go to market for tourism industries on all continents. As more Russians seem to be interested in traveling abroad, it is only natural that countries looking to promote themselves and develop markets would focus on this region. Not only do Russians travel in large numbers, they also are big spenders. The latest country to plan a dedicated promotional campaign is Vietnam. The Vietnam National Administration of Tourism (VNAT) announced its plans to promote its tourism offering in Russia at the 2013 Moscow International Travel and Tourism Exhibition (MITT-2013) held in Russia from March 20 to 23. Vietnamese authorities target 300,000 visitors from Russia for 2014. 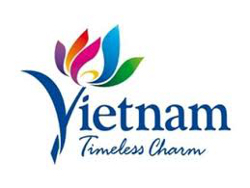 At this year’s edition of MITT, Vietnamese travel agencies and representatives from various destinations will promote popular tourist attractions from Vietnam, products and services, focusing on the 2013 National Tourism Year. Russia has recently become a major market for Vietnam’s tourist industry, along with Japan and the Republic of Korea, therefore the increased interest in targeted promotion to Russian travelers. As a market for tourism to Vietnam, Russia went up 71.5% in 2012, as compared to the previous year, with 174,000 Russians visiting the Asian country. The Khanh Hoa and Binh Thuan provinces were the top destinations for Russian visitors. The Cam Ranh International Airport in Khanh Hoa has introduced three daily direct flights to Russia’s Far Eastern region from October until April 2013 to accommodate the increase in demand, as 70,000-100,000 Russian holiday-makers are expected to visit the region. In 2012, Russian tourists have also reached record numbers in countries such as Greece, Cyprus, Latvia, the Philippines, Vietnam and Cambodia. As a result, other countries are putting effort into developing this thriving market even further, including the Philippines and Bulgaria, the latter introducing looser visa requirements for Russian visitors. Alina is a writer, traveler, and coffee addict born and raised in Romania. Her first trip abroad was when she was thirteen, but she got the travel bug a lot earlier. She’s been to three continents and fifteen countries so far, and she’s planning on adding more to the list. Follow her travel adventure on her blog, Pet Travel Tales, on Twitter, Facebook, or Instagram.